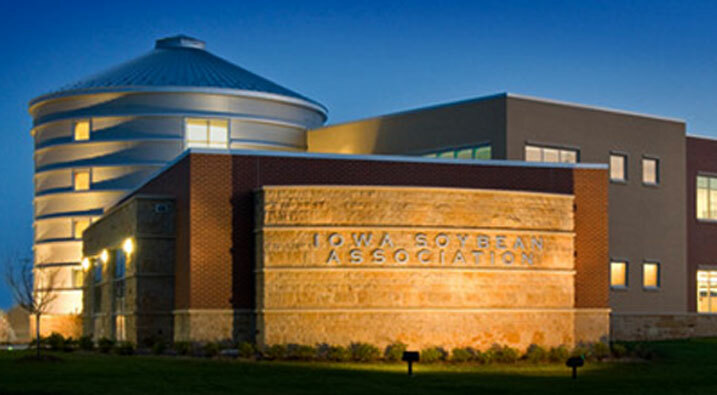 Campus Town is the home of the Iowa Soybean Association Headquarters, pictured above. The 30,000-square-foot brick and limestone building has a circular atrium designed to look like a metal grain bin. Also in Campus Town is the newly constructed 57,000-square-foot FFA Enrichment Center. It’s designed as a hared-use facility for Iowa Future Farmers of America (FFA), for DMACC programs, and for area events.